This free resource is a series of 10 worksheets designed to help you plan the life you want, with time for the work you need to do. 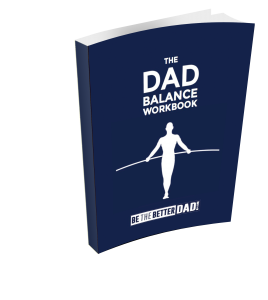 When you are balanced, and happy, you can be the better dad for your kids. Download the workbook, and get to work on balancing your life. Answer A Few Quick Questions? You can quote me on this on your blog. You can use this information anonymously. Please keep this between us. This video below is one of the most beautiful stories about the effect that time has on our kids.